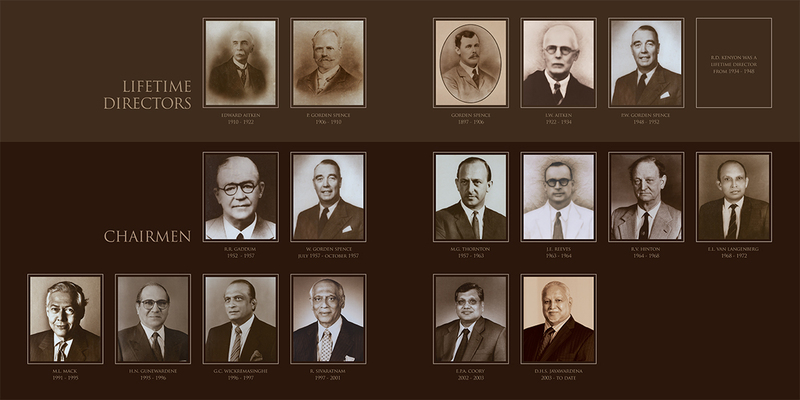 the Company changed gradually, and soon it came to be known as Aitken Spence & Company. The recorded date of this entity’s official beginning is New Year’s Day, 1873.
coal for ship bunkers. Business consisted very largely of the chartering of ships to carry these commodities. business contacts that would help push this fledgling Company ahead. On April 5, 1876, he recorded his firm’s appointment as sole agent of the prestigious Lloyd’s of London. 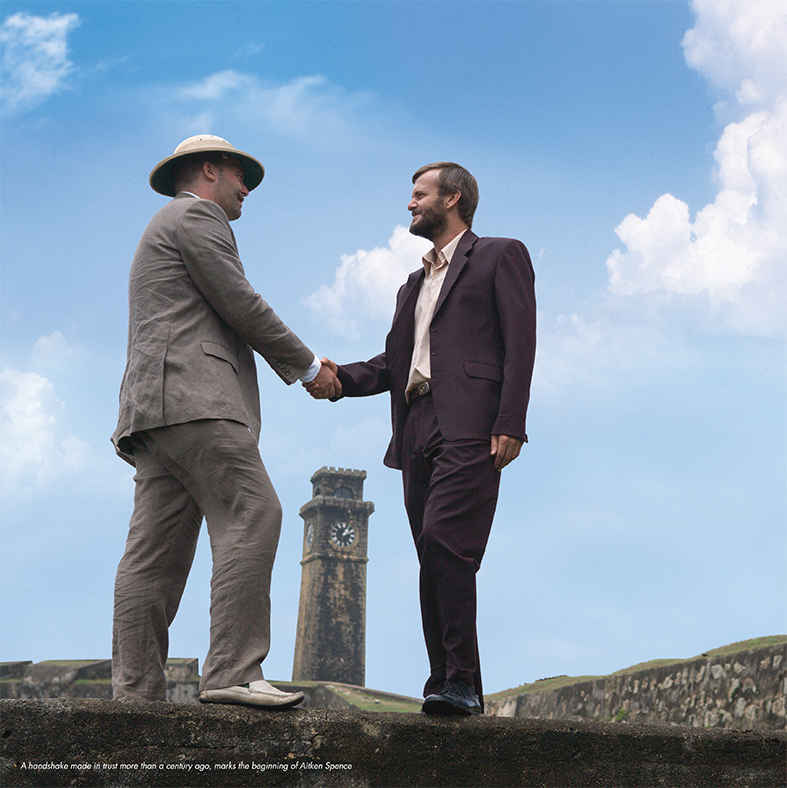 But agencies were not all the Company was looking for; P. W. G. Spence and Edward Aitken believed that good partnerships were what made a sound base for their business. Looking at the Company’s early history and its partners, there are many names attached to it, such as W. B. Patterson, G. W. Suhren, A. S. Berwick and A. P. Waldock, amongst others. It is clear that from its inception the Company was constantly seeking new partnerships and reinventing its business culture, making bold decisions that made it stand out from the crowd. It is this spirit that has carried on through time in every partnership Aitken Spence entered into. his shares to the remaining directors. This understanding was backed by provisions made in the Articles of Association. broad basing of Aitken Spence. The Company’s share capital increased over the years through regular bonus issues. What was important to note during this period was that board directors did not buy a single share. They were all sold on par to executives, which established a bond between the upper levels of the Company and the executive staff, creating a sense of ownership all around. In 1983, another significant change in ownership took place with Aitken Spence becoming a quoted company on the Colombo Stock Exchange. 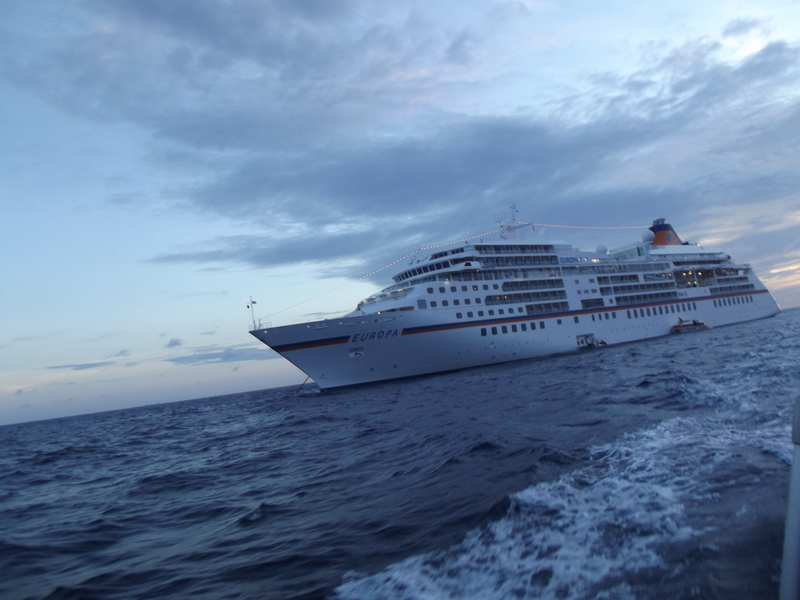 The luxury cruise ship MS Europa, owned by German operator Hapag-Lloyd Kreuzfahrten, called at the Ports of Trincomalee, Galle and Colombo recently with a total of 355 passengers and 280 crew on board. Aitken Spence Maritime is the local agent for Hapag-Lloyd, considered one of the largest container shipping lines in the world. MS Europa, has been awarded the rating of 5-stars-plus for the fourteenth time in a row by the Berlitz Cruise Guide, is said to be designed as an “all outside concept”. Adorned with a 204 passenger suites, the cruise is considered as one of the most spacious cruise ships on the market and is intended for the luxury cruise segment of the German speaking market. Every year the MS Europa sets sail on its journey around the world to visit ports that are unreachable by other ships due to its size. “Hapag-Lloyd Kreuzfahrten has decided to have more frequent callers to Trincomalee, Galle and Colombo and have included the Port of Hambantota in their schedule for 2015/16. 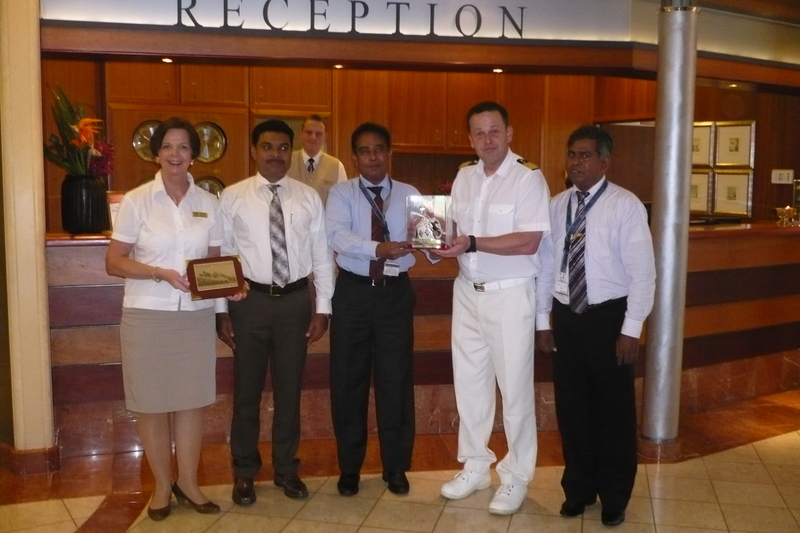 We intend in selecting Sri Lanka Ports for our start and end voyages, where the passengers will embark and disembark in Sri Lanka” said Lalith Witanachchi, General Manager of Hapag-Lloyd Lanka. Hapag-Lloyd’s local agents Aitken Spence Maritime pioneers in the industry and are the first in Sri Lanka to undertake port efficiency enhancement management overseas with its entry into the African continent and then the South Pacific Islands. The Company handles all areas of maritime services – from ship agents and cargo handlers, to liner agency, cruise vessel, port management and development, chartering services and maritime education. With the Group’s involvement in the leisure industry, the company is able to offer comprehensive synergised services to cruise operators.